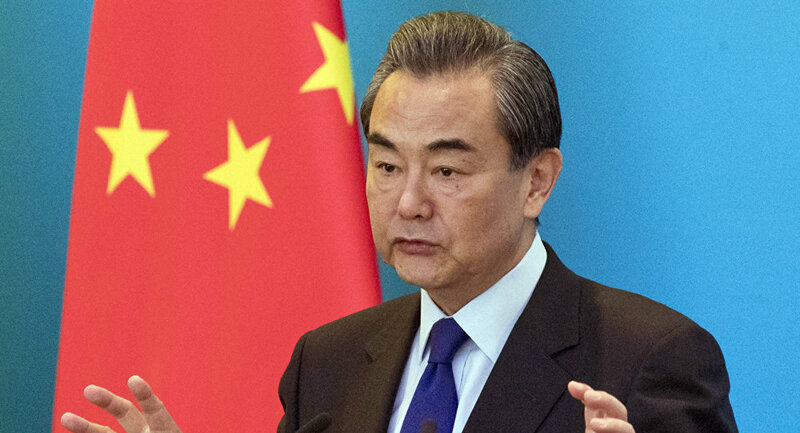 WASHINGTON (Sputnik) - China believes the UN Security Council should ease some of the sanctions on North Korea in order to encourage the continued progress toward denuclearization, Chinese Minister of Foreign Affairs Wang Yi said on Thursday. "A provision in the Security Council resolutions that the council is prepared to modify the sanction measures in light of the DPRK’s [North Korea’s] compliance," Wang said. "Now given the positive developments in the inter-Korean and DPRK- US relations, and the DPRK’s important pledges and actions on denuclearization, China believes that the Security Council needs to consider invoking in due course this provision to encourage the DPRK and other relevant parties to move denuclearization further ahead." Earlier, the United Nations Security Council has introduced multiple sanctions against North Korea in response to its repeated missile launches and nuclear tests. The body, in particular, has restricted oil exports to Pyongyang, banned imports of textile products from North Korea as well as the country's access to gas liquids. The United States is seeking boost of the sanctions against North Korea despite the recent de-escalation of tensions on the Korean Peninsula that involved several meetings between North Korean leader Kim Jong-un and South Korean President Moon Jae-in as well as Kim's summit with US President Donald Trump.